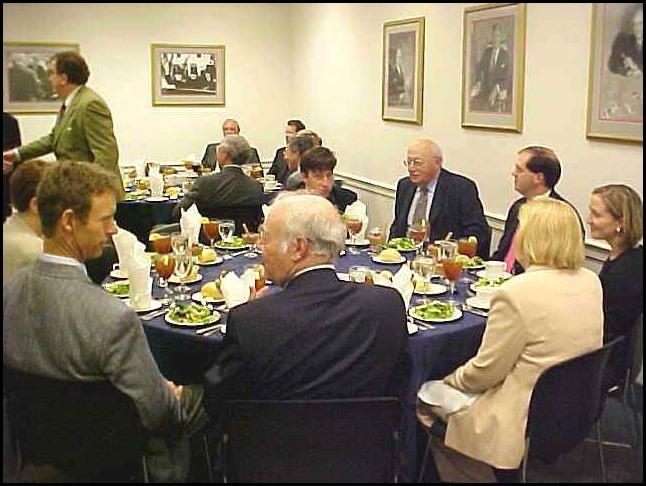 Click on the small photo to see an enlarged version. 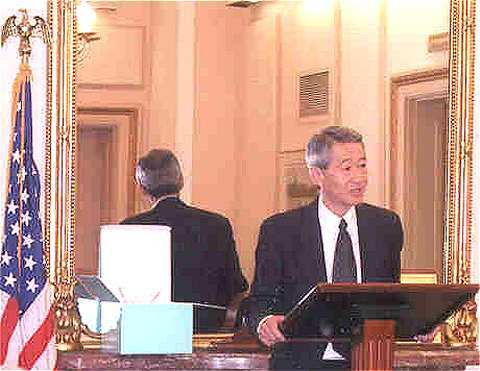 When finished viewing click on "Back Button". 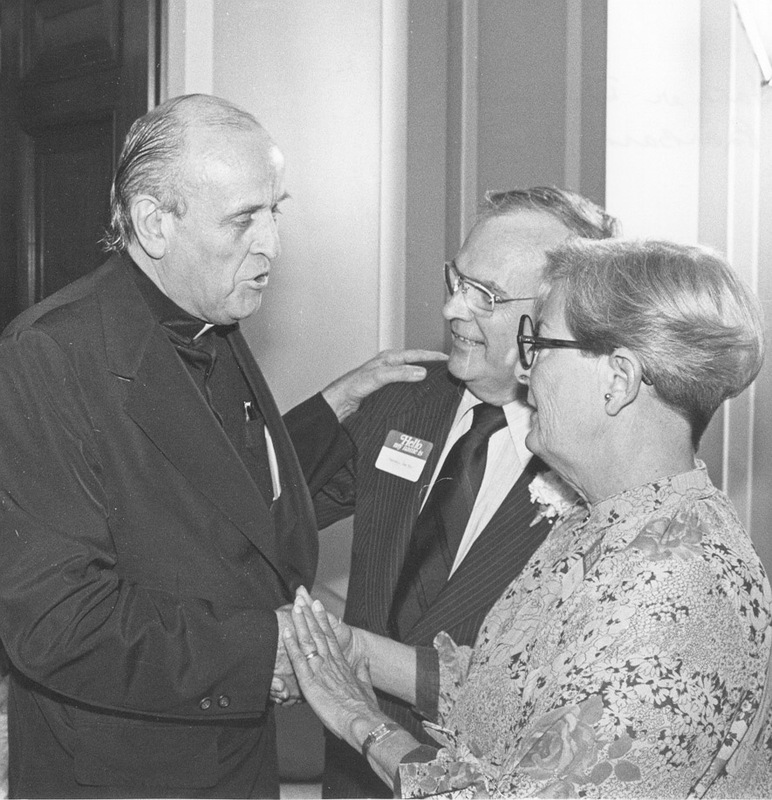 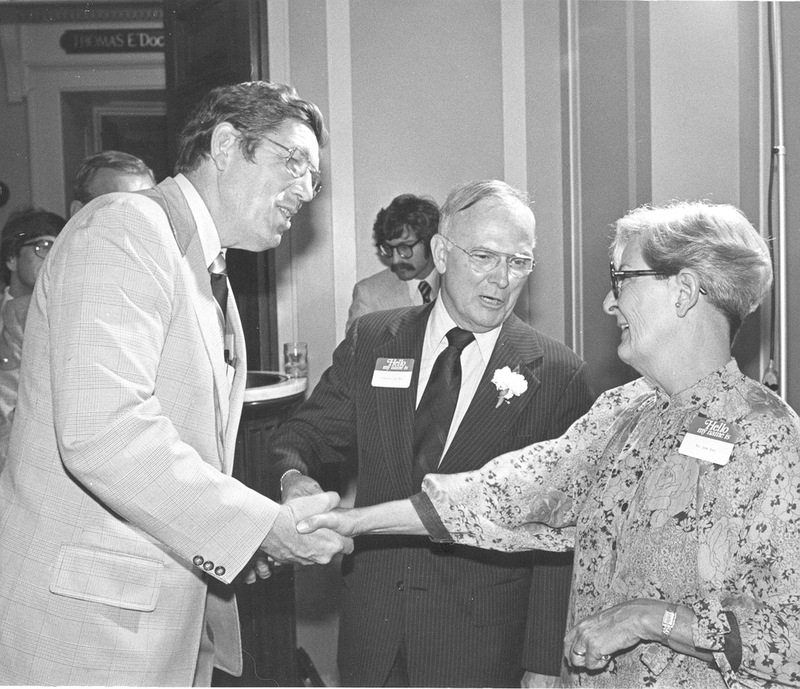 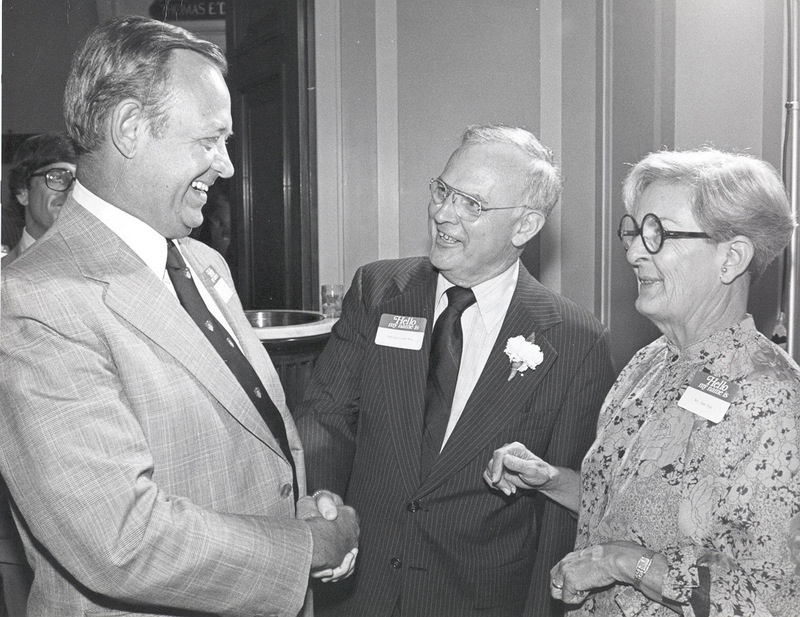 Congressman James T. Broyhill (R-NC), Congressman John E. Moss, and (Right) Mrs. John Moss. 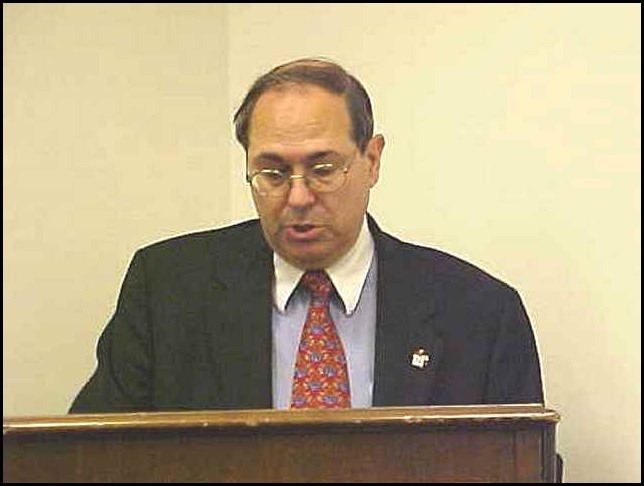 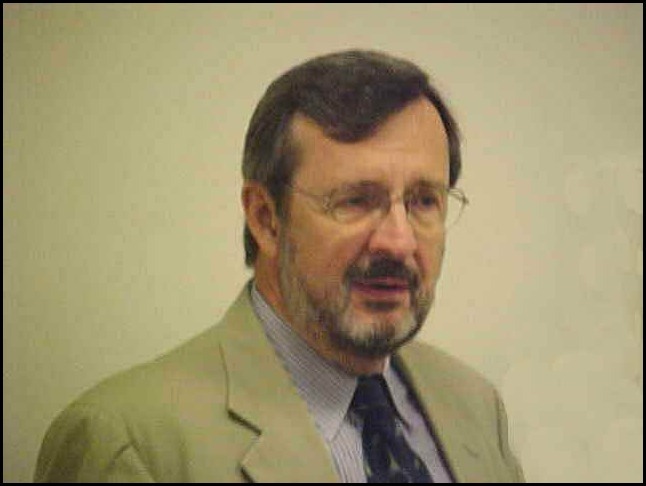 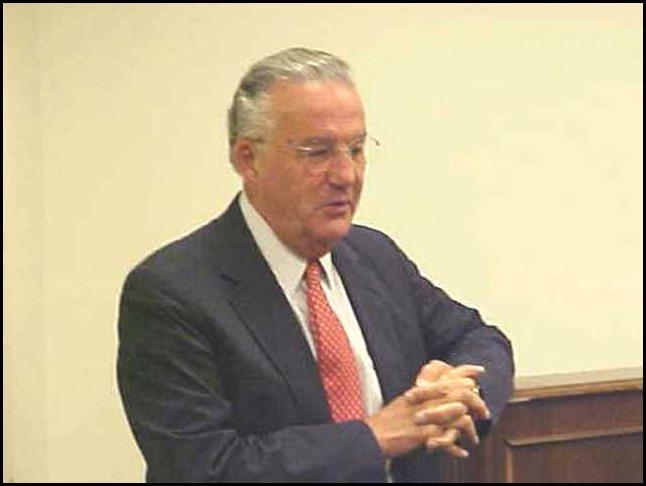 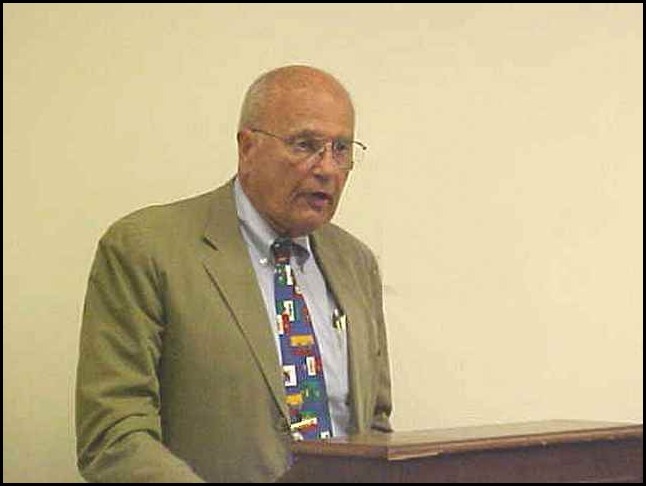 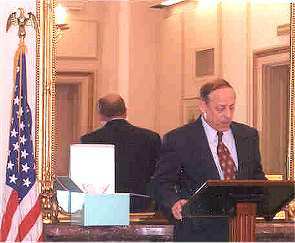 Congressman Clarence J. "Bud" Brown, Jr.(R-OH) with Mr. and Mrs Moss. 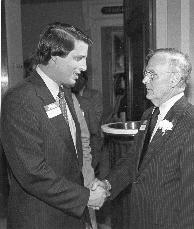 Then-Congressman Al Gore (D-TN) greets Mr. Moss. 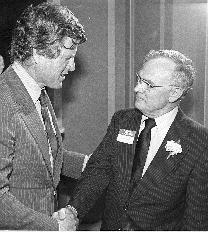 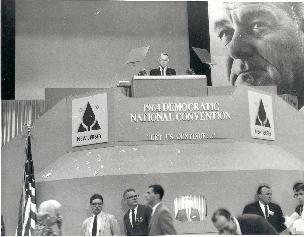 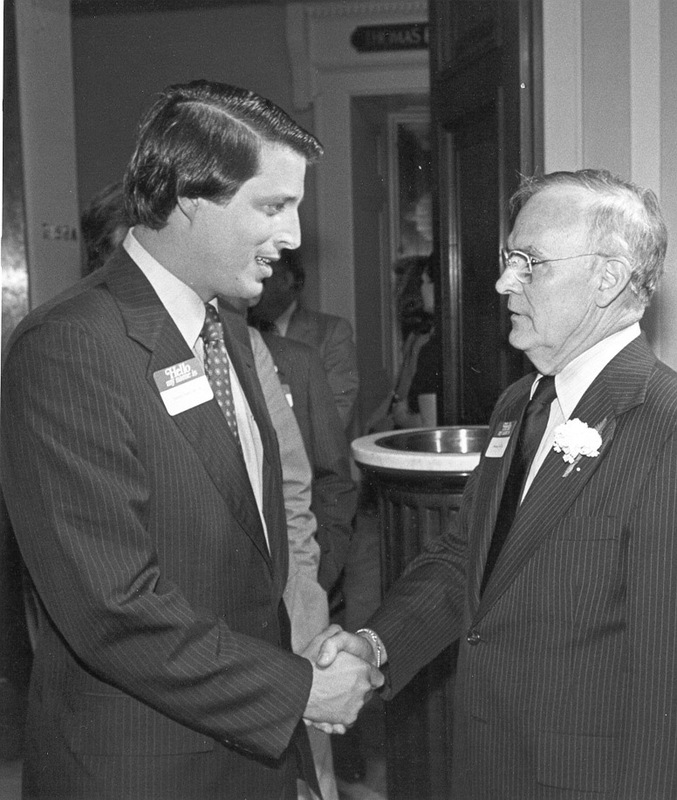 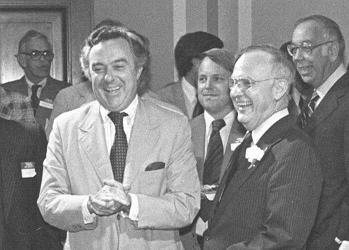 Senator Edward M. "Ted" Kennedy (D-MA) and Congressman Moss. 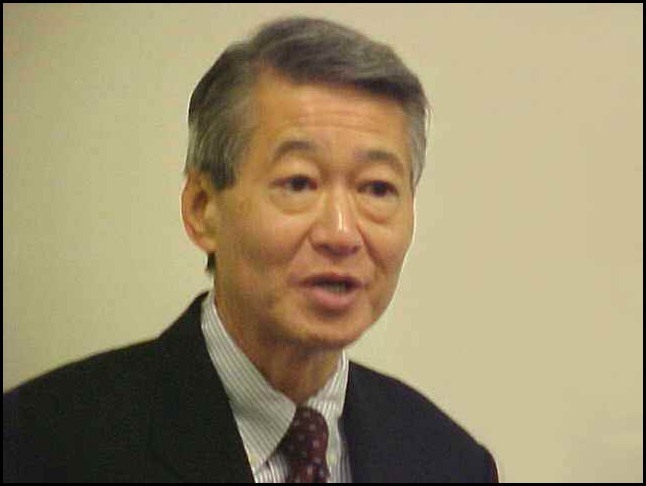 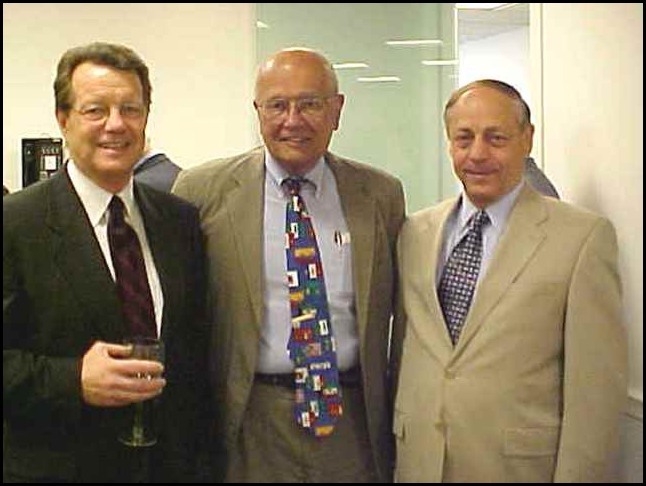 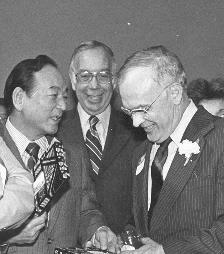 Congressman Spark M. Matsunaga (D-HI) and Congressman Paul G. Rogers (D-FL) with Mr. Moss. 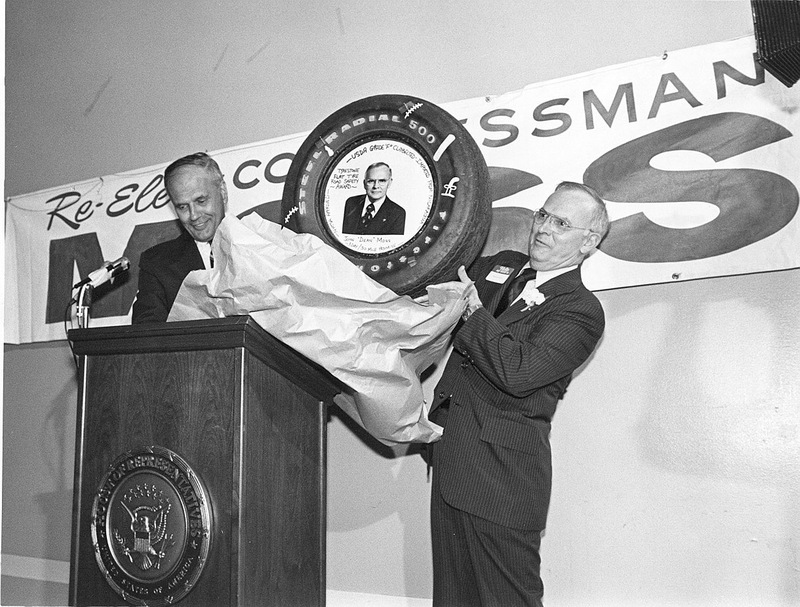 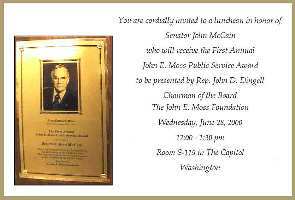 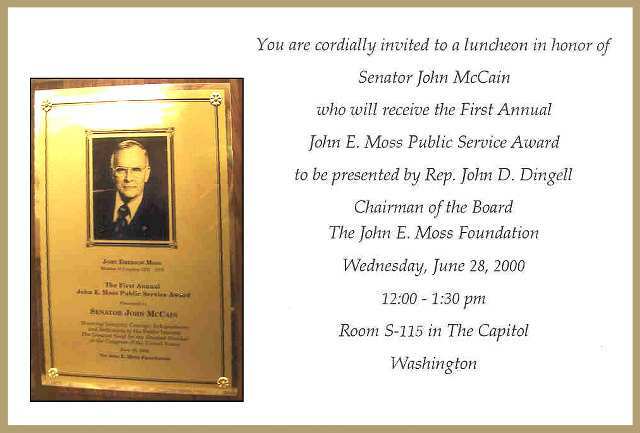 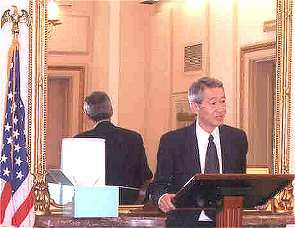 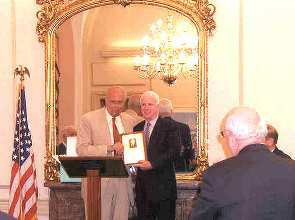 Invitation to the McCain luncheon held on June 28, 2000 and John E. Moss Public Service Award Plaque (inset). 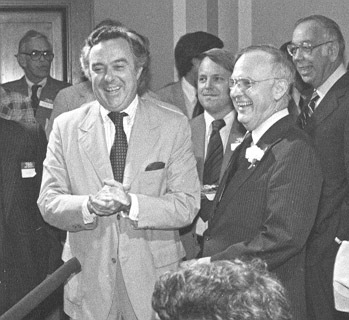 5/11/1966-Vung Tau, South Vietnam-Rep. John E. Moss (left), D-Calif., military policeman Ronald Hooper (center) of Nashville and Michigan Rep. Robert P. Griffin (right). 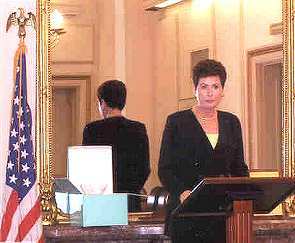 Rep's. 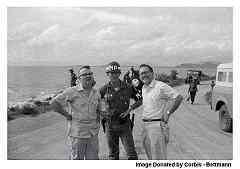 Moss and Griffin, were in South Vietnam on a congressional study tour.